Standing head and shoulders over his teammates, Shakib Al Hasan is a name that has taken Bangladesh cricket by storm. Hailing from Magura, Jessore in southwestern Bangladesh, Shakib is a penetrating and economical left arm spinner and talented middle order batsman. 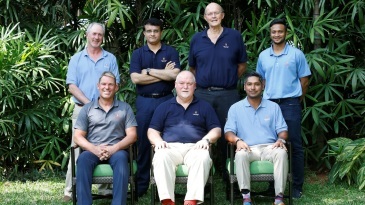 His fine performances with both bat and ball have bailed out the Bangladesh cricket team on many occasions. Few can forget his stunning performance against New Zealand in Chittagong where his figures of 7 for 36 remain the best ever recorded by a Bangladeshi bowler. His memorable 108 against Pakistan in April, 2008 after Bangladesh were reduced to 10/3 and then 16/4 was equally impressive. 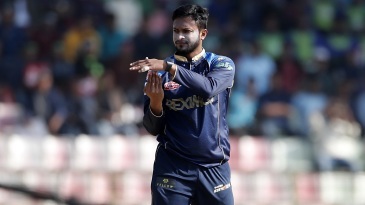 He is widely regarded as the finest all rounder Bangladesh has produced, and at only 22 years of age, Shakib's best years are far ahead of him. He ensured his place in the Bangladesh squad for the U-19 World Cup in Sri Lanka with a blistering performance in the final of the tri-nations U-19 ODI tournament in Bangladesh. 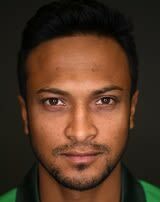 Find Shakib Al Hasan profile and stats of batting, bowling and fielding including latest updated news of Shakib Al Hasan, videos and images at Hamariweb.com. Also find detail Player profile and career statistics of Shakib Al Hasan of Bangladesh. I am s.m salam and I live in Malaysia or I am come from Bangladesh comila. Today is happy nice day for my friends and family to the worlds. Because today is make a hostry of islam without u r family two the worlds. This time more love and like or miss s.m salam . and worlds most of power and around the world player is shakib al hassin I so much love and like it...thanks u all. God bless your all of family and friends. Shakib-ul-Hassan is a great Bangladeshi all rounder, I also watched him to play with Kolkata knight riders, he did a great role to got the victory of Kolkata knight riders. sakib is so danger allrounder as all the playe. hi dost. shame on him what he have done in front of camera. he should ban for more matches not for only 3 matches..
he is the guy that lift Bangladesh cricket a lot.. he is very good cricket skills and brain.he is batter batsman then a bowler.. but his bowling is also not that bad. hi! Shakib how r u? Pls give me your number pls..
shakib vai apner phone number chi .....?plz/plz/plz.......? Sakib, What a player you are! I can,t 4got your batting,bowling and fielding. Shakib Al Hasan - Find Shakib Al Hasan of Bangladesh Cricket Team complete player profile, number of matches, runs score, wickets & catches, Statistics, Records, Shakib Al Hasan Latest News, Shakib Al Hasan Videos, Shakib Al Hasan Photos, and other Shakib Al Hasan Cricket Team players.